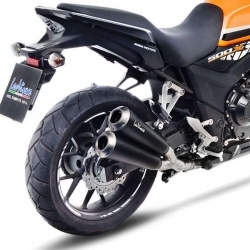 The LeoVince Duals exhaust does not leave indifferent with its "GP" style. The double outflow has a matt black stained stainless steel body for an uncommon look and sound. Product compatible with the original main stand. Road approved (EU). 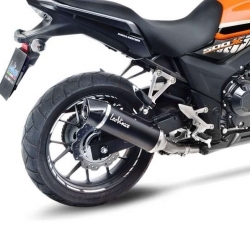 The LeoVince Nero range is designed to give your bike a deep sound and an aggressive look. 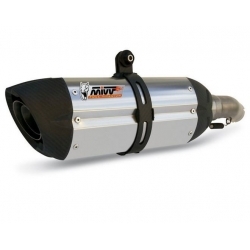 Matte black stainless steel body, lighter than the OEM exhaust (about 2Kg) for optimized performance. Product compatible with the original main stand. Road approved (EU). 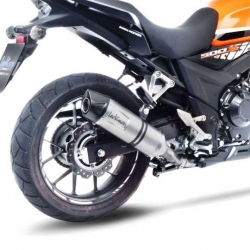 Exhaust for your Honda CB500F, CBR500R and CB500X (post-2016), manufactured from AISI304 stainless steel with a black satin polished finish. Sport end cap manufactured from injected aluminium with a bright polished finish. Shipped with removable db-killer.